In mathematics, “infinity” means forever. 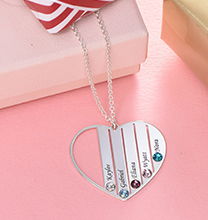 The graceful, flowing symbol seen on many of our My NameNecklace designs has been used to represent eternal love for decades. With no beginning or end, this sideways figure eight shape offers a smooth, elegant appearance with plenty of visual appeal. 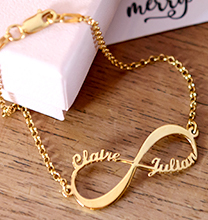 But what does infinity jewellery mean, beyond a lasting, loving union? Here are a few ideas. Friendship is a special bond that’s worth celebrating. 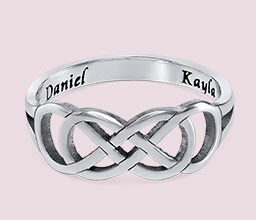 The traditional figure eight symbol signifies the strength and beauty of that relationship, whether the ring you choose features your names, your initials, or words that hold a special meaning to both of you. Whether they’re part of an inside joke or something far more serious, the words you use to honor your friendship are yours alone! 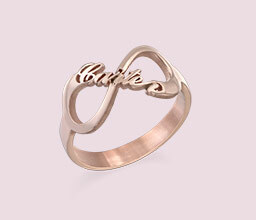 A rose gold infinity ring might be perfect for sharing since it’s both meaningful and on trend. Just like those special friends who come along once in a lifetime, family members share an extraordinary bond. 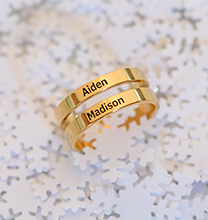 You might like to celebrate the connection with your mum, your grandma, your favourite aunt, or your sister with a gold infinity ring. Perhaps you’re a mum or an aunt, and you’d like to share your love with a daughter or niece. 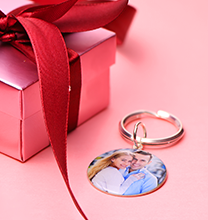 Lastly (but of course not least), this enduring style is perfect for use as a promise ring, or as a ring to celebrate an anniversary with the one you love. 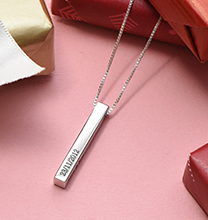 Thanks to today’s personalization techniques, it’s possible to have special dates, silly nicknames, and other secrets engraved inside the band. 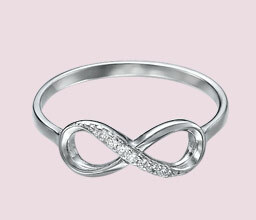 Just like the symbol on the ring, the possibilities for expressing your feelings are endless! 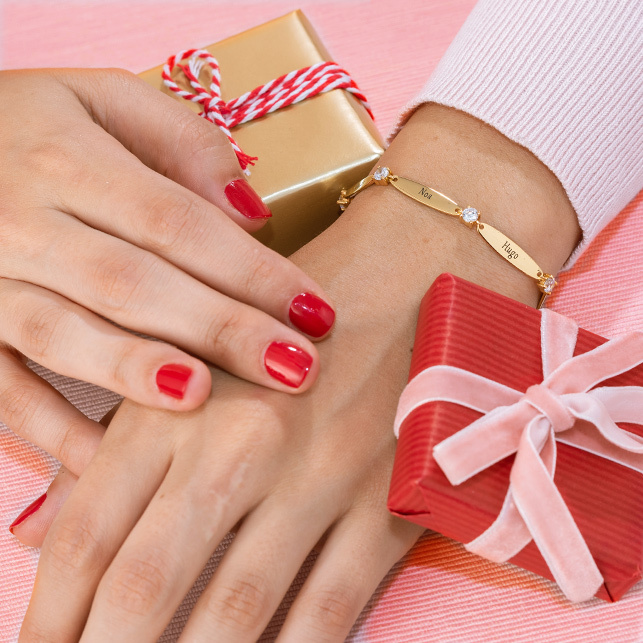 The specific meaning of the ring lies between the person who gives it and the individual who wears it. With so many styles and finishes from which to choose, the options are truly infinite.